Is a stylish room with double bed and furnished with antiques that is located on the first floor, facing south-east with a beautiful view of the hills. Is another spacious room with double bed, located on the first floor, facing south-east, also with stunning views of the hills. 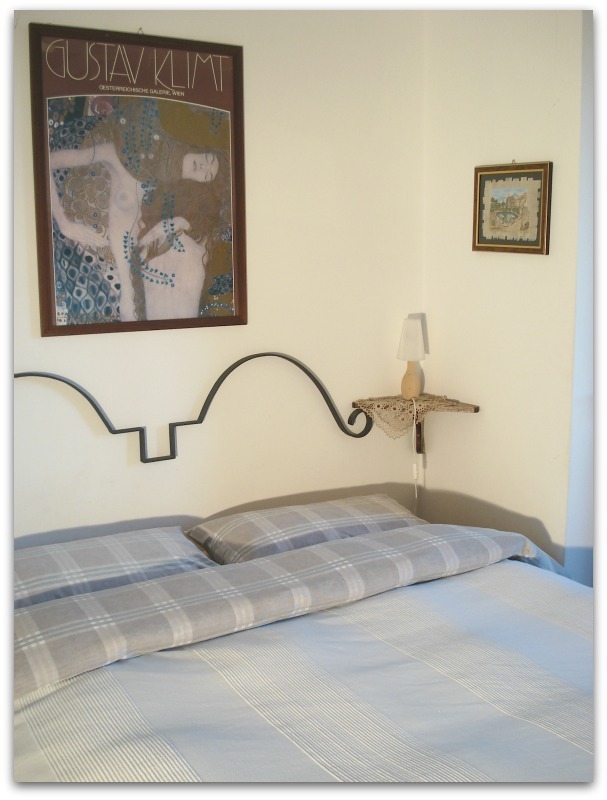 Air is a spacious and comfortable triple room with a double bed and one single bed, furnished simply with antiques. Being East facing this room tends to be cooler in summer. 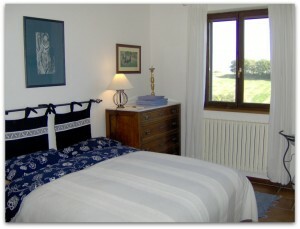 This was originally an annexe of the main farmhouse and is therefore completely independent. It is located on the ground floor a hundred feet from the house. 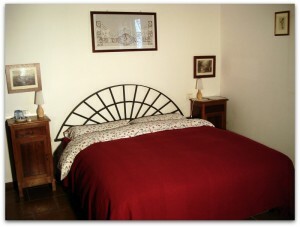 It ‘a family room with a double bed and a bunk bed, very suitable for families or guests accompanied by their dog. Agriturismo Fontechiara is located in Treia in the province of Macerata in the region of Le Marche in central Italy. We offer B&B or bed and breakfast holidays or for lovers of slow food there are half board or all inclusive holidays. A vacation at Fontechiara allows you to sample ecotourism, locally grown food, our own organic produce, home cooking and great Le Marche wines in a restored farmhouse with stylishly furnished rooms and excellent facilities including a swimming pool. We offer yoga retreats, horse riding holidays, fishing holidays, Italian lessons, olive oil holidays, we offer a dog sitting service and are ideally located for sports and outlet shopping. Le Marche has fantastic beaches, mountains, nature, history, art, activities and more. Please check out our reasonable prices or contact us for more information or to book.